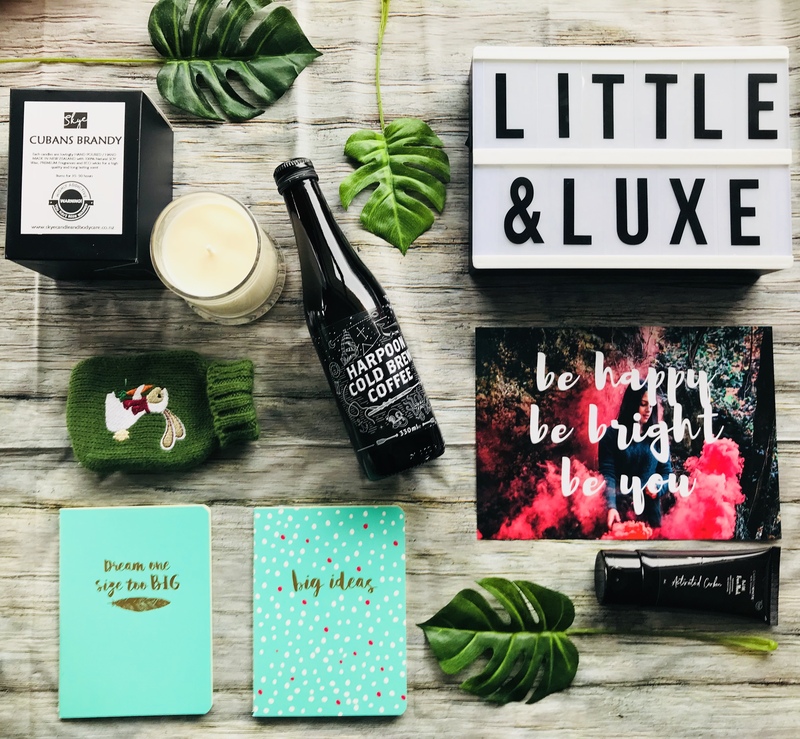 Our May Box Reveal! Happy! Well, I admit I have not been keeping up with my blog posts, and it’s definitely something I want to keep on top of. I think we sometimes get so busy, or assume everyone is on our social feeds, that we don’t need to update here much, which isn’t really ideal! I apologise, and I commit to publishing at minimum one blog a month – and to reveal what our latest box is here first – I mean, this is the best place to see it, and then you can sign up. Right there – all on the same page. Magic! Or should I say Happy! So May. It snuck up on me. And it’s that weird month, where the leaves start falling, and you have some really dreary days – it’s when you start to realise that winter is really on its way (which is great if you’re a skier/snowboarder), but not so much if you’re a summer water mermaid type. I picked the theme Happy – because that’s what Little&Luxe makes me. Happy. I genuinely love surprising people. And when I made a list of things that made me Happy, it was SUPER long. In fact, I struggled to cut it back – but it gave me some great ideas for future boxes too. This month, we had to include coffee. For me coffee is warm, it smells incredible, and it wakes you up, plus you can have it in cake (one of life’s essential products) and the team at Harpoon Cold Brew have made an amazing cold brew coffee that tastes delicious. We’ll be giving two bottles away on our social feeds later this month. We also included Carbon White’s Peel Off Face Mask. I don’t know about you, but there’s something super satisfying about sitting back (and if you are like me, you’ll have your PJ’s on) with a face mask, glass of wine and trash TV. Definitely makes me happy. Skye Candle and Body Care make an amazing range of candles – we had to include these as well, the Coconut Lime takes me on a tropical holiday – that’s a total Happy place for me! One thing I really wanted to include was these super cute mini reusable handwarmers. Pop them in your pocket, crack the tab to release the heat and you’ll have toasty hands for about 30 minutes. You can reuse by heating them up again in hot water, letting them cool, then recracking the disc once you need to use them. Our last item this month was some pretty cute notebooks. Stationery always makes me Happy. There’s something so satisfying about crossing off a To-Do list. And that’s our May box of Happy done. Our next theme is being planned now, and it’s going to be amazing. We can’t wait to show you what’s in it.